Post-TAP Launch: Challenge, Change, Champion! When I spoke at the launch of the refreshed Talent Action Plan (TAP) on 26 March, I was struck by the diversity in the room. The Civil Service has made huge strides, but we aren’t yet on a par with that audience. Our challenge now is to identify and remove the remaining barriers that prevent talented people from joining the Civil Service and making a successful career of it, including in senior positions in all Government departments. As an economist, I’m keen on looking at the evidence. The data on diversity in the Civil Service provide sobering evidence of continuing barriers preventing many of our colleagues from reaching their full potential. That’s a waste of talent we simply can’t afford. When I joined the Treasury in 1989 there were almost no women in the senior ranks, or indeed in policy jobs! Maternity leave was three months, flexible working unheard of, and part-time meant a full-time job for part-time pay. I would not say there was any overt discrimination, but women definitely felt that performance short of the very best was more noticeable. When I subsequently spent four years at the British Embassy in Washington, I was the only woman among the 16 senior officials, so again felt under extra pressure. I have tried to support women personally and promote gender issues generally, though, ironically, I never saw myself as a role model until I left the Treasury in 2006. As a Director at the Treasury, where I was Disability Champion, we sorted the issue of apparently poorer performance among disabled staff by ensuring they had properly adjusted objectives. Then, at DFID, I championed LGB&T staff, and led work for the Cabinet Secretary tracking the evidence on women’s progress into the senior Civil Service. Monitoring and sharing data on diversity is a powerful tool. I am a big supporter of staff networks. I hosted LGB&T network meetings in my previous job at DWP and helped prepare our entry for the Stonewall 100 index of top employers. Now, I’m pleased to work closely with the Civil Service Rainbow Alliance (CSRA – LGB network) and a:gender (network for transgender and intersex staff). There are representatives of both networks on my LGB&T Diversity Committee, supporting me in my role as Civil Service LGB&T Champion. The TAP outlines several new measures to support staff networks. There will be new funds they can bid for, which should help those struggling for resources. The work of network leaders will also be recognised in their annual performance assessments, demonstrating how the Civil Service values their contribution to business priorities. On 17 May, the Civil Service joined organisations in the UK and worldwide by marking IDAHOBIT, the International Day against Homophobia, Biphobia and Transphobia. 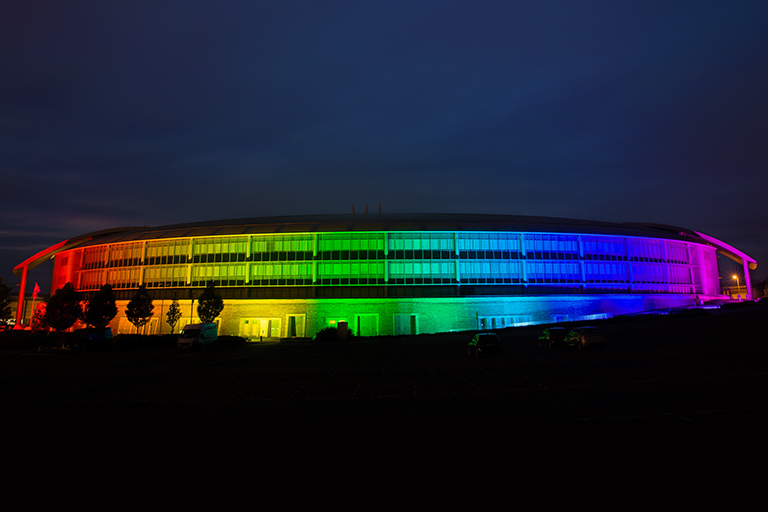 To show our support, many departments took up my suggestion and flew the rainbow flag from Government buildings, including mine, shared between DCMS, HMRC, Cabinet Office and the Treasury, while GCHQ’s iconic doughnut was lit up in rainbow colours, as described in Robert Hannigan’s fabulous blog. The annual Civil Service People Survey shows that staff in minority groups are more likely to feel bullied and harassed. Crime statistics show a disturbing increase in homophobic and transphobic hate crime in recent years. In too many cases, these have resulted in injuries and even tragic deaths. We should have zero tolerance for this: everyone should be free to go about their lives in peace. Tolerance of bullying melts away if challenged by the rest of us, so I was happy to support the Stonewall ‘No Bystanders’ campaign against bullying and would strongly encourage others to do so. So, what are we doing to help? The Positive Action Pathway ‘Levelling the Playing Field’ programme is designed to equip participants from grade AA to Grade 6 with the skills and confidence to realise their potential and assist with career progression. I spoke at the launch event of the grade 6 and 7 cohort on 30 March, the first time the programme had been open to LGB&T participants. The TAP commits to increasing the number of Positive Action Pathway places from 200 to 1000 to increase the impact on talented staff progressing their careers. There will also be a new programme, ‘Accelerate’, targeted at SCS grades, to tackle the noticeable lack of diversity at this level. The message about our plans can’t just stay amongst Whitehall policy folk. It’s critical that everyone is engaged in the discussion. 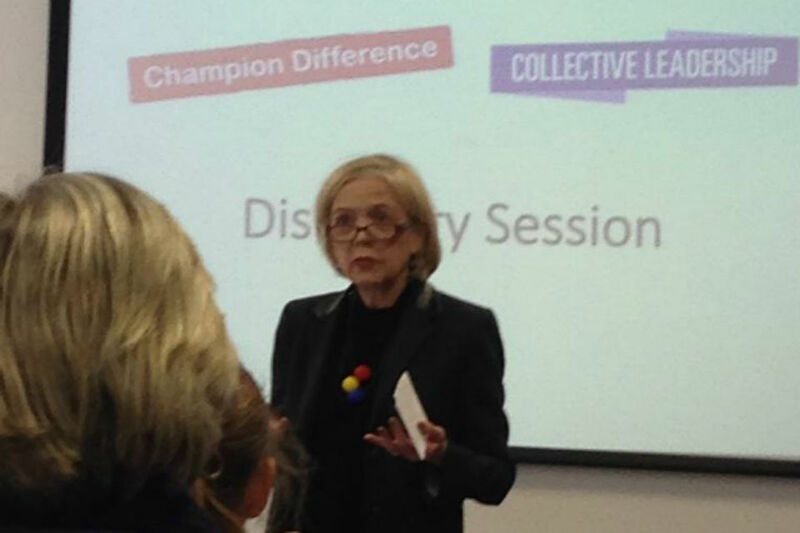 Last month, I spoke at the “Challenge Change Champion” event in Cardiff, one of several similar events taking place across the country. During the event, I was struck by a question about managers so driven by performance targets that they are reluctant to give staff time to attend network events or diversity programmes. We absolutely must get across that this is time well spent, that ultimately improves performance, and signalling this by rewarding those at all levels who role-model by encouraging diversity. Finally, it’s great to receive recognition for a job well done! Civil servants are frequently seen as exemplars of excellent practice. Two were recently highly commended in the Excellence in Diversity Awards – Jacqui Gavin, Deputy Chair of a:gender, in the Public Sector Diversity Champion section, and Jen Gagg, CSRA Representative for Yorkshire & Humberside, in the Employee of the Year section, for her HM Prison Service work. Well done to both of them, and to all the outstanding Civil Servants who took part! On the subject of awards, nominations for the Civil Service Diversity & Inclusion Awards 2015 are now open - a good time to put yourself or your team forward and share your work with colleagues across the Civil Service. I was a judge for the awards last year, and presented an award. It is such an inspiring and uplifting event, showcasing amazing working up and down the country, so hurry up and get your submission in! Diversity and Inclusion: Are we making progress? I'm a pansexual trans woman who works in the civil service, and I've got to say this - the rather large office I work at has no support for LGBT people at all, even the diversity training barely covers it, and what it does cover it gets largely wrong. Mental health awareness training only covers the popular topics. So whatever it is you're doing at the top certainly isn't getting through to the rank and file levels. 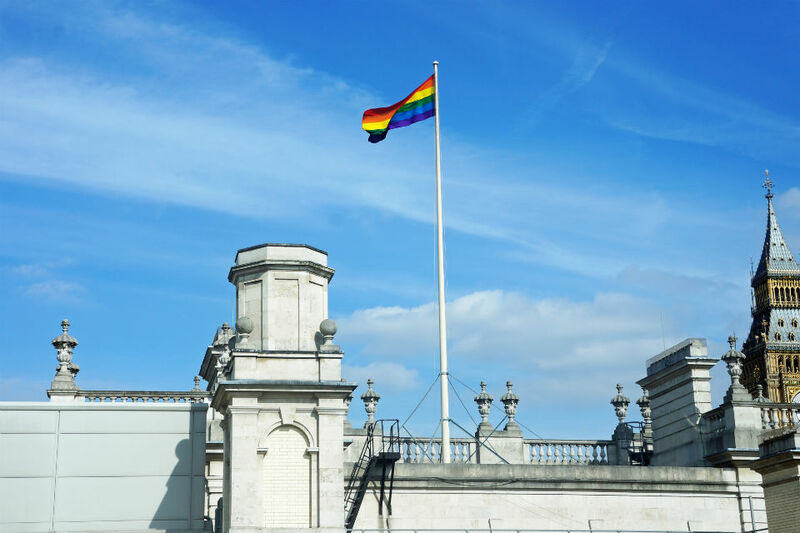 There are quite a few decent modules on Civil Service Learning, aimed at helping people understand the various nuances of sexuality and gender, which cover some of the same ground as the diversity training, but go over a lot of new (and helpful!) stuff too. You say that current training 'gets it largely wrong'. Given the modern propensity to continually subdivide 'identity' into ever more numerous and varied categories, I suspect it would be impossible for any training programme to keep pace with the invention of new terms. As part of the work stemming from the Talent Action Plan, we want to show more Civil Service-wide corporate support of activity in the D&I calendar. By taking action to show support and raise the profile of diversity and inclusion issues - alongside moves to improve accountability, data, capability, talent management and recruitment - we are looking to build a more inclusive working culture. In the agency I work for I see lots of talented people stuck at AA/AO level, not because of any sort of bias, but due to the Coalition's recruitment freeze in 2010. Good to hear that Jacqui Gavin's work with a:gender has been recognised. However, HMG support for a:gender by way of staffing resources is painfully minimal. Any chance of a rethink on that score? I do not feel the Civil Service is being as inclusive as it should be. I was successful in gaining a place on the Positive Action Pathway programme, only then to be told my offer was withdrawn as I am an FTA employee and not permanent. It is claimed too risky of an investment to allow FTA staff (even though we are substantive (for the length of the contract) and paid by the Home Office) to enter the programme and then possibly end up leaving the Civil Service part way through the programme as the contract ends and not renewed. I am committed to a career in the Civil Service and this programme, and my FTA contract is longer than the length of the programme yet I am seen as unworthy to part-take. I think that is unfair. Another "diversity" related blog and I'll say this again - if you are looking at your colleagues in terms of their gender, ethnicity, disability, sexuality etc., then you need to focus back to seeing them as fellow civil servants and get on with your work. A large part of my job is about communicating with and informing staff on D&I issues. I have seen a number of comments recently asking where the support and development opportunities are for people who are not women/BAME/disabled/LGBT, others who believe 'positive action' to to have gone so far that it is now 'positive discrimination', and others who believe that discrimination remains rife in our department. While we all know that you can never please all of the people all of the time, where can I find guidance and comment to respond to these allegations/beliefs? Having already circulated links to CS and departmental blogs which stress the benefits of process change, encourage behavioural and cultural change, and chart how far we have progressed, where do we go next? Dawn - I am one of those people you talk about. I genuinely believe the Civil Service is so anti 'me' it isn't really worth trying to develop. I don't want to feel that way but i do. If you look at say, a white, heterosexual, middle class man and assume that individual is "privileged" then you are just as prejudiced, as if you hold bias against any person from a minority group. You are likely to have no idea what troubles that man has been through in the past, nor what he suffered that morning before breakfast and this counts even if he shined his shoes, put on a tie and came into the office with a smile on his face. That's the fundamental problem with the "diversity" industry, it takes almost no account of the subtleties of individual experience.